RDHS was a ray of blue, green and orange balloons on Monday 16th March 2015. We even had a Carrot, Banana and Pod of Peas. 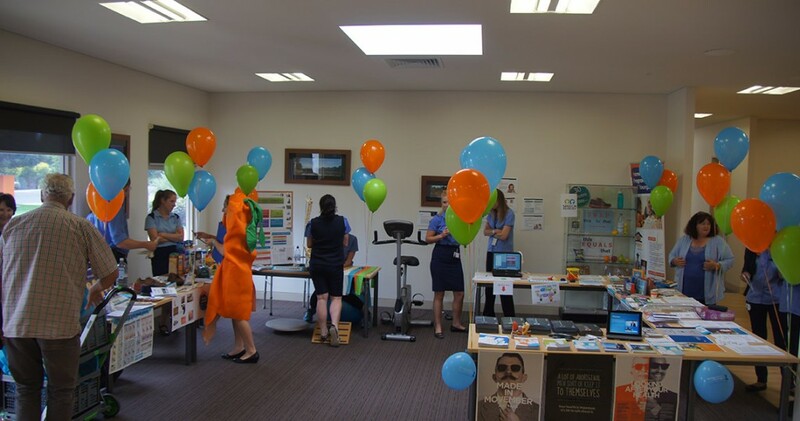 The RDHS open day was planned as an information day available to the community on the various aspects of the Health Services with an overall focus on the Quality and Safety (Risk) data. Tables were displayed of information providing to those that attended a very informative afternoon including Quality and Risk, Prostate and Breast Cancer, Physiotherapy, Podiatry, Speech Pathology, Midwifery, Occupational Therapy, Asthma education, Social Worker Services and Dietetics. During the afternoon healthy snacks were provided and we even had our very own sampling of healthy meals provided by Rachael, Paul and Emma. 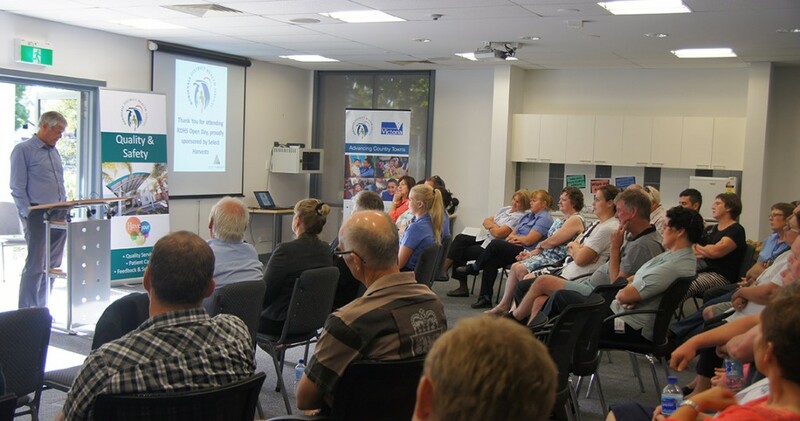 We were also lucky to have David Parkin (AFL Coach) talk with our staff and mingle with community members that attended during the afternoon which gave him a great overview of what our small rural health service can provide to our community. Later in the evening David presented to keen and eager RDHS staff and community members a very informative and motivated speech, speaking about “tough times” that all sectors are experiencing at the moment. Stressing the need for always being flexible and willing to accept change. One of his quotes was “there is always a better way to do tomorrow what you did today”. We are very thankful to David for travelling to Robinvale, to Staff that helped with the setting up of the tables (Chris and Josh) and also would like to thank Select Harvest and Sunsol for their sponsorship for the event.